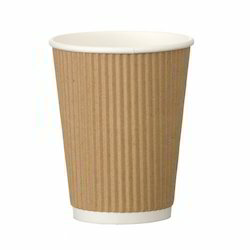 The wide collection of printed paper cups catered by us is of excellent quality. 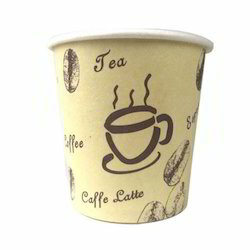 These are printed using sophisticated printing machines and can be used for both hot and cold beverages. 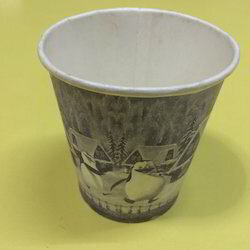 These cups are checked at certain parameters to assure their quality and strength. 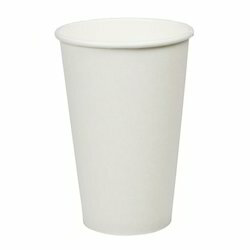 We are one of the leading providers of the industry engaged in offering Printed Paper Cups to the clients, which is made using optimum quality paper. The entire offered range is available in different shapes and can also be customized in various forms. These are highly appreciated due to its high strength and attractive pattern. 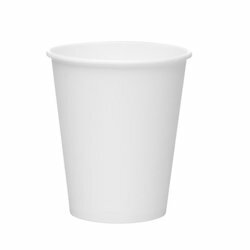 We are considered as the renowned and trustworthy name in the industry engaged in offering Disposable Ripple Cup With Lid to our clients that are widely admired for their easy usage and fine finish. Manufactured in accordance with the predefined industry guidelines and standards, these products are massively acknowledged among our precious patrons. Packaging Details: Dependent on order size and location.